Easy to grow house-fern though tolerant of light frosts for short periods. Pale green, finely cut fronds. mature fronds sport young ferns that will root once they drop onto moist compost. Prefer moist compost, not wet in partial shade. 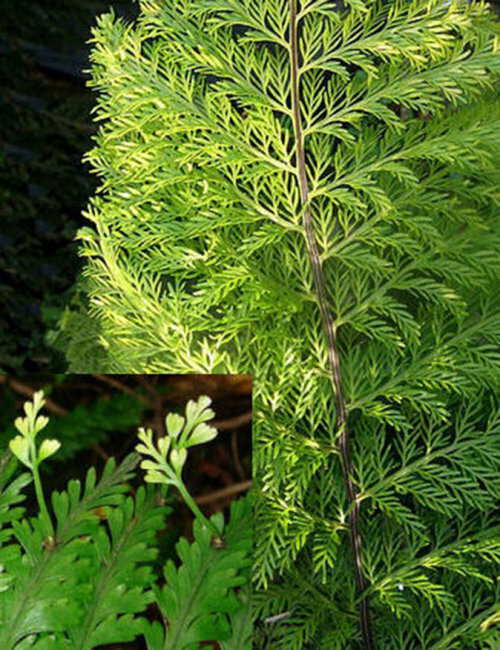 Maori's would eat the fern tips, before they unfurl to add flavour to dishes. Like European Bracken, the fronds have been used as animal bedding. The roots were also eaten and infusions made to treat various skin conditions.